This is truly an original original. There has been a great deal of study on the sequencing of these dollars. One of the relatively early revelations was that the name below base, which was always assumed to have preceded the name on base, actually was a re-strike. 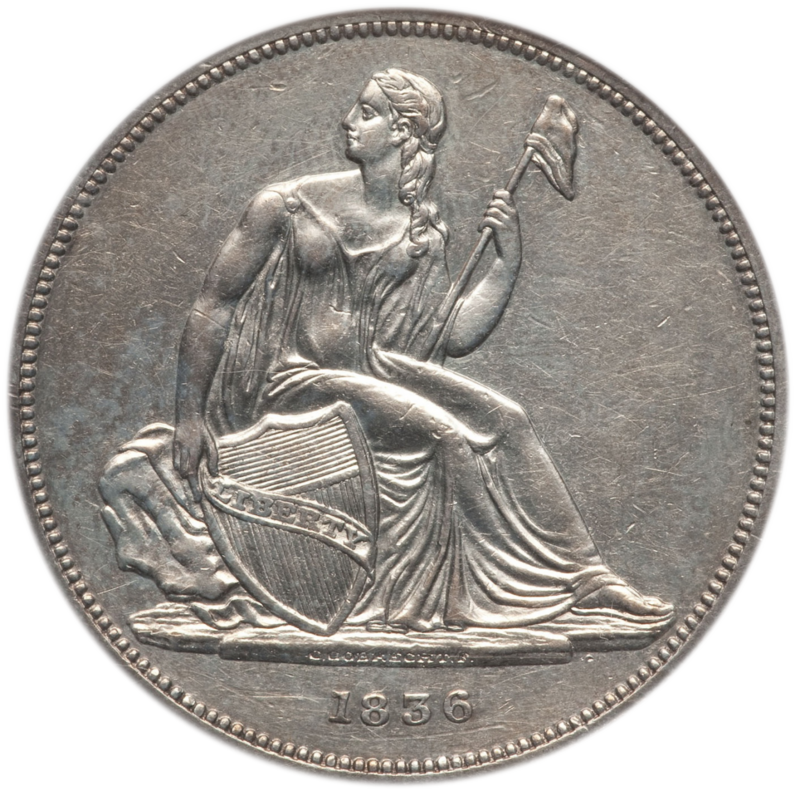 During the original striking in December 1836, the first coins were struck. Only those of the earliest group are free from diagnostic die cracks and clash marks. This coin is free of one of two of the earliest die state changes. 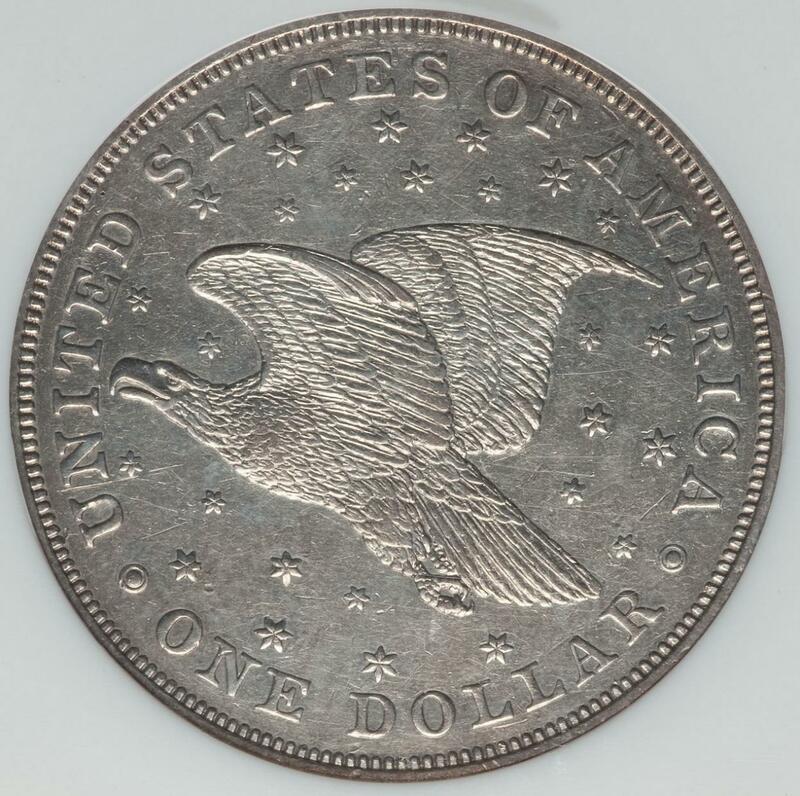 The first is a die chip in the denticles peripheral to the second A in America on the reverse. The second is a die clash that extends upward and outward from the eagle's right wing. See June 2009 Numismatist Pg 55 by Dannreuther & Shalley. The upshot is that this is probably one of the first ~400 coins minted. The weight is 416 grains and is of .892 fine silver (January issues and restrikes are made with he new standard .9 fine silver with a weight of 412 grains.) NGC declines to opine as to Original versus Restrike stating there is not enough data to make that determination. After the research leading up and the review of the Dr. Korein collection there is ample data to make these determinations and both PCGS and ANACS do!. I am not a fan of PCGS but here they have NGC beat. The coins here is in remarkably good condition, given that they were released into the hands officials and citizens.